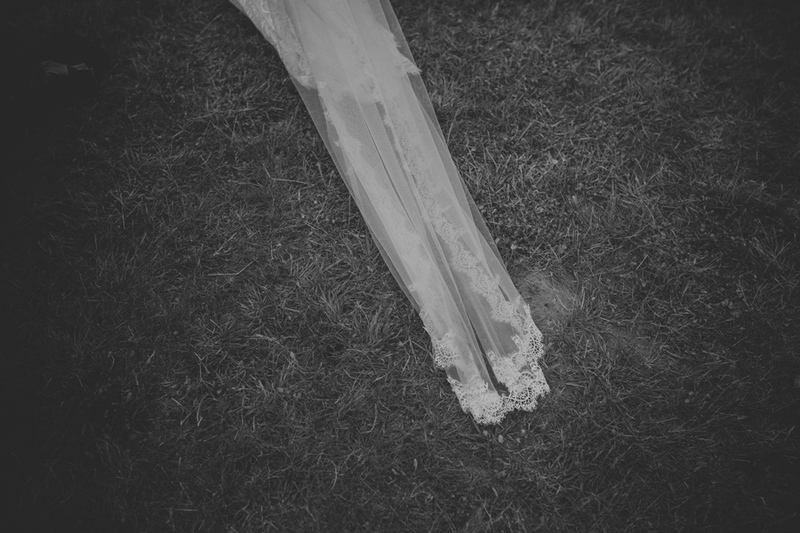 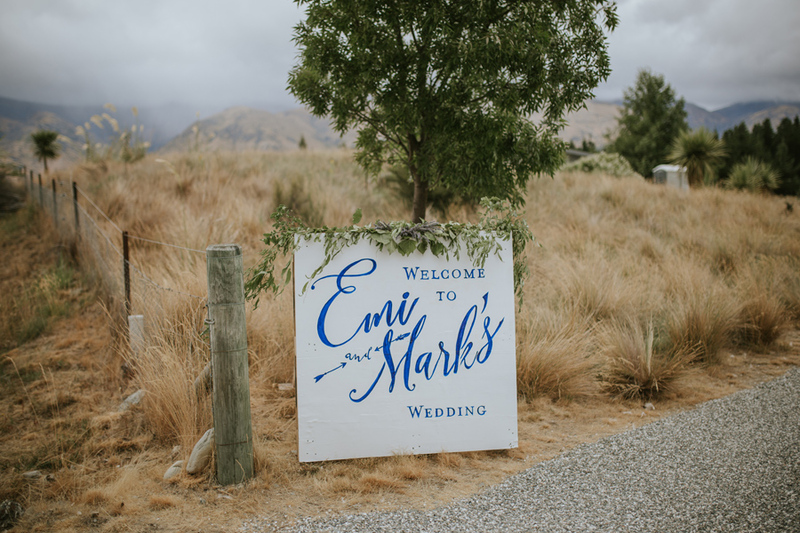 There is something special about a backyard wedding and then there is Emi & Mark’s backyard wedding. 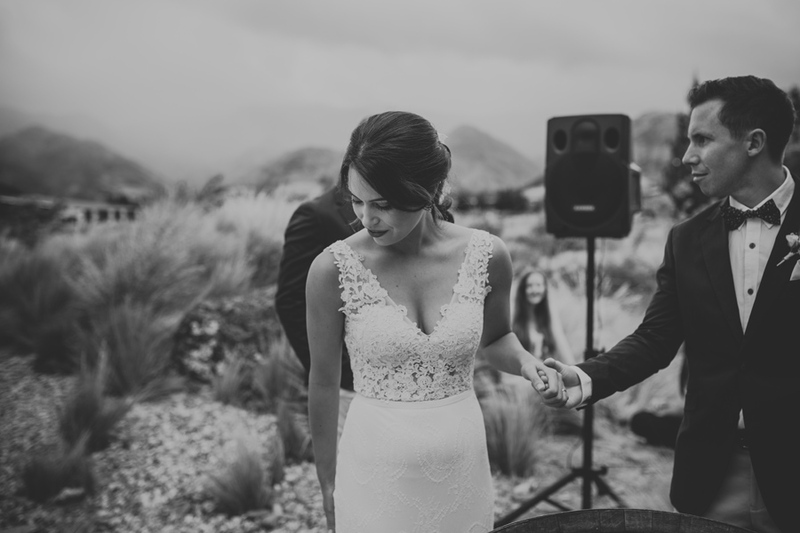 Queue oooh and aaah’s here. 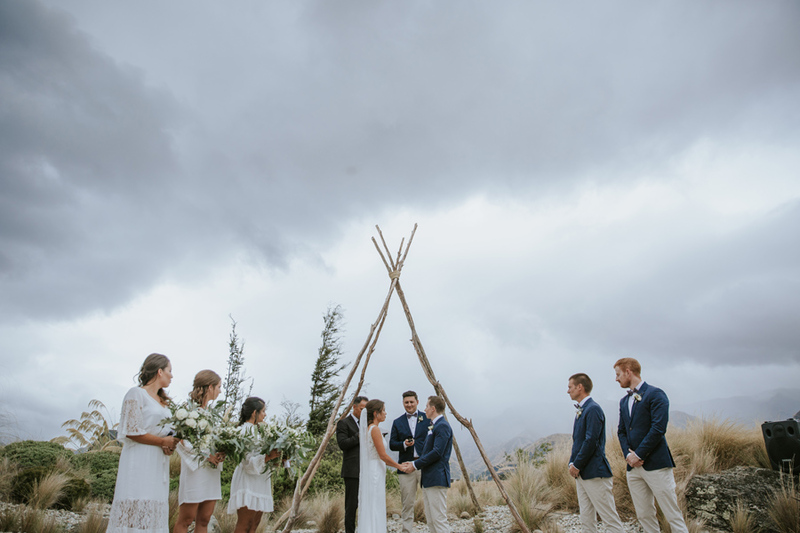 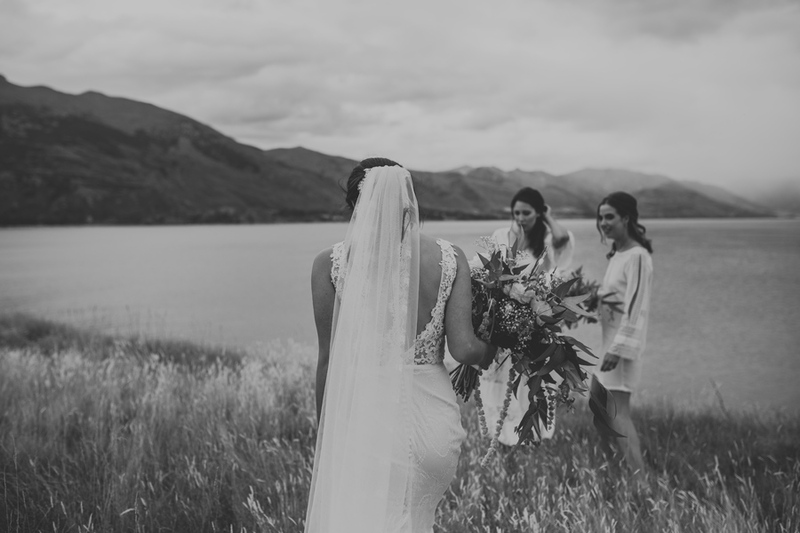 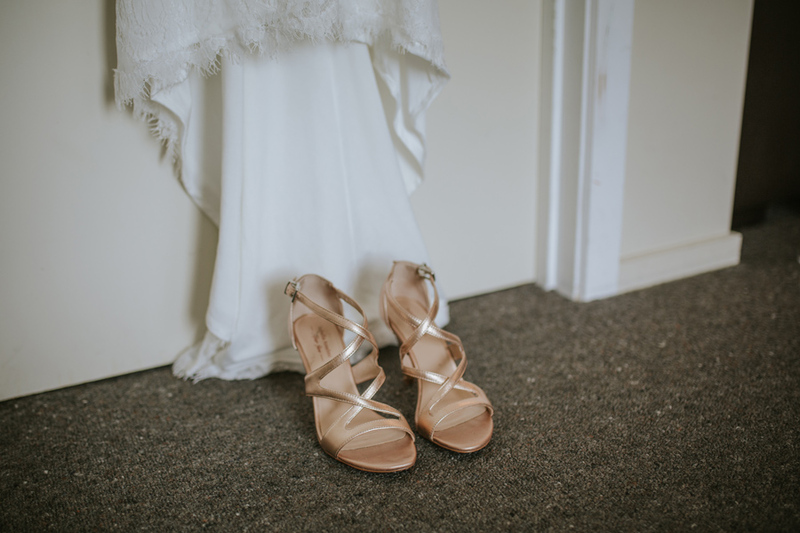 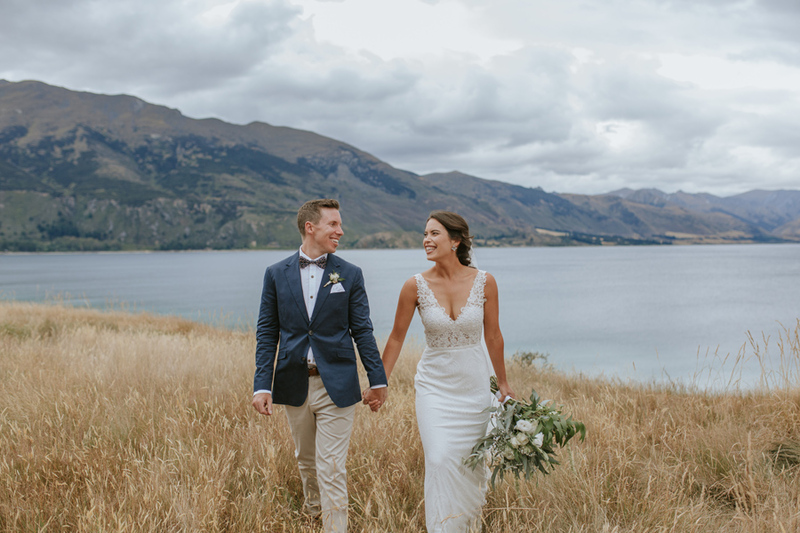 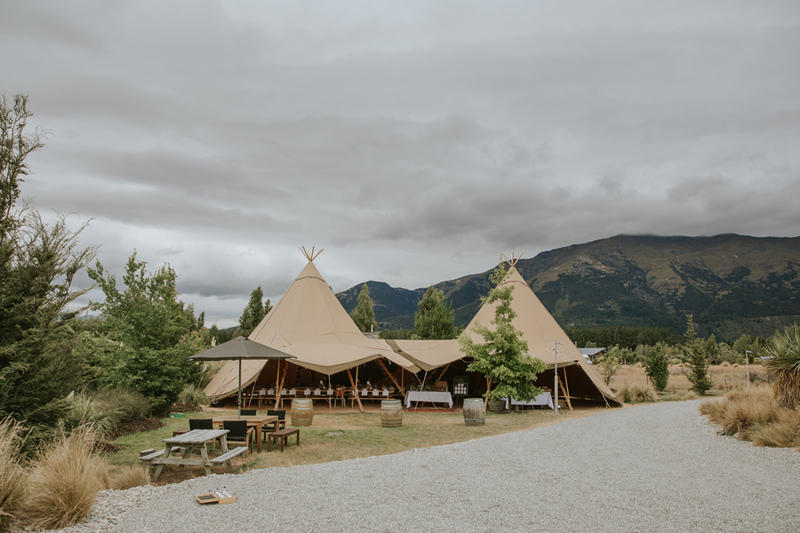 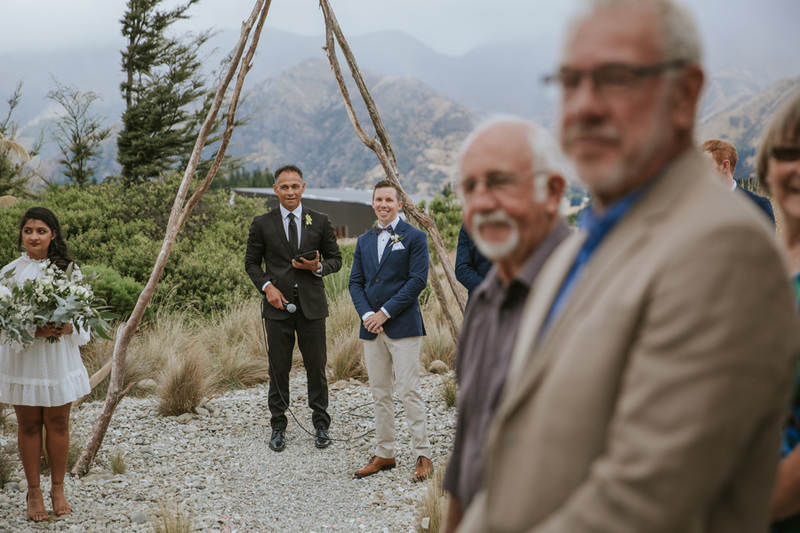 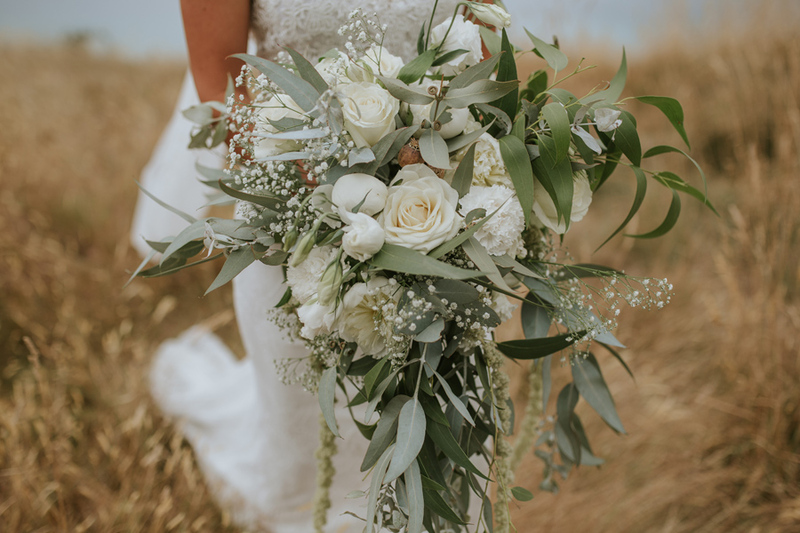 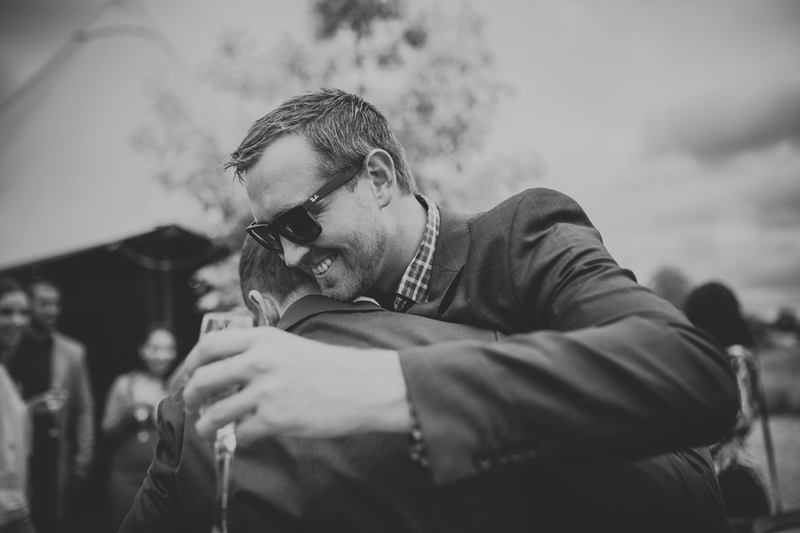 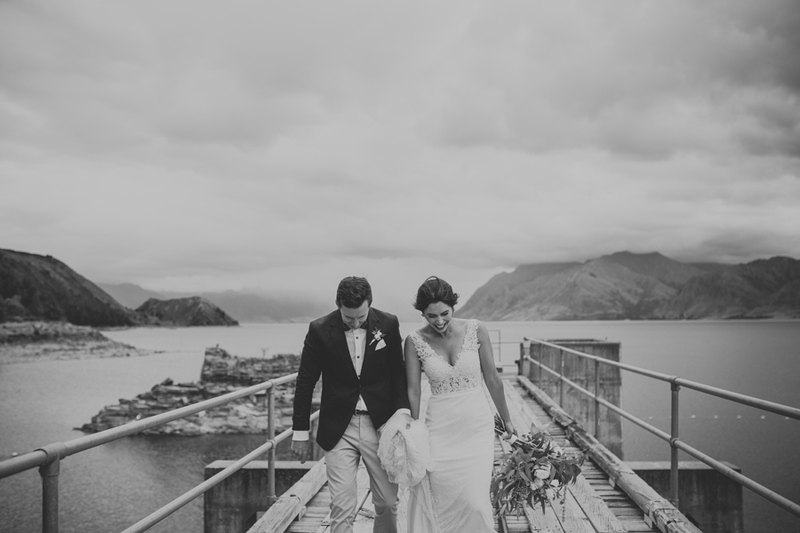 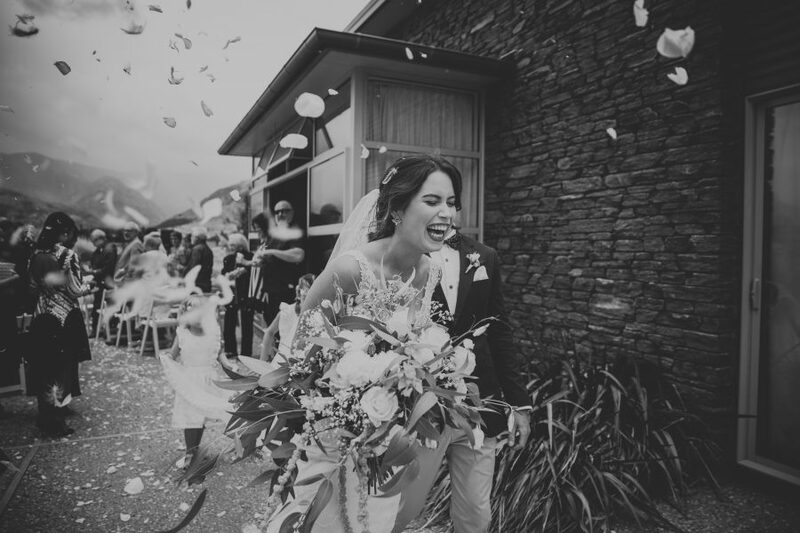 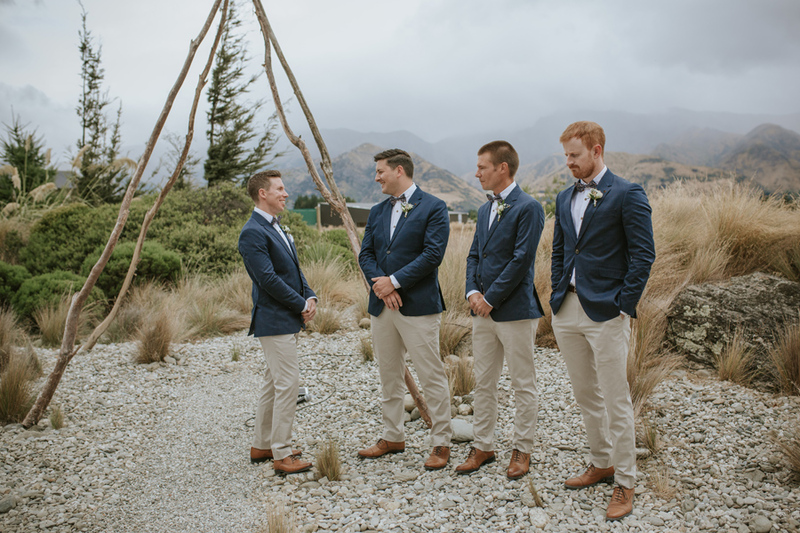 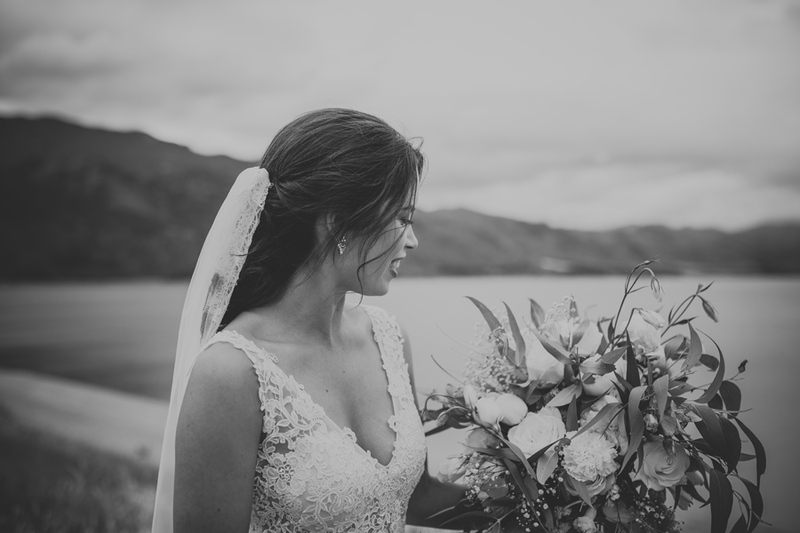 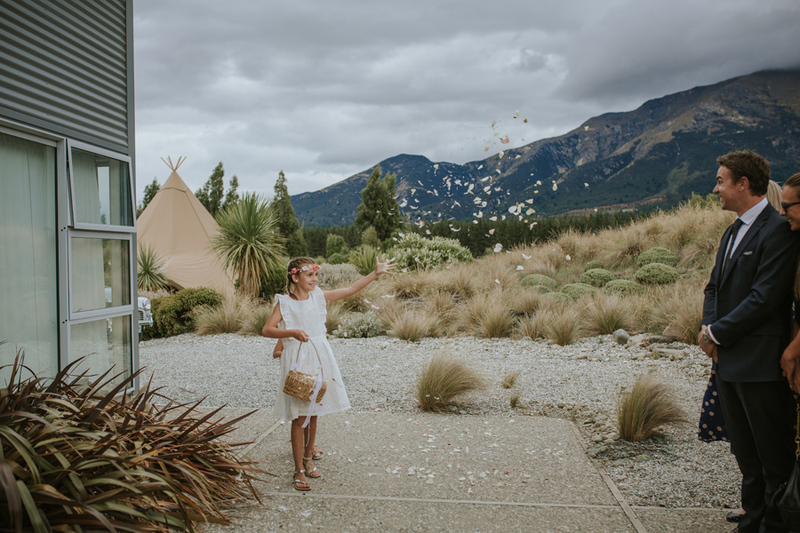 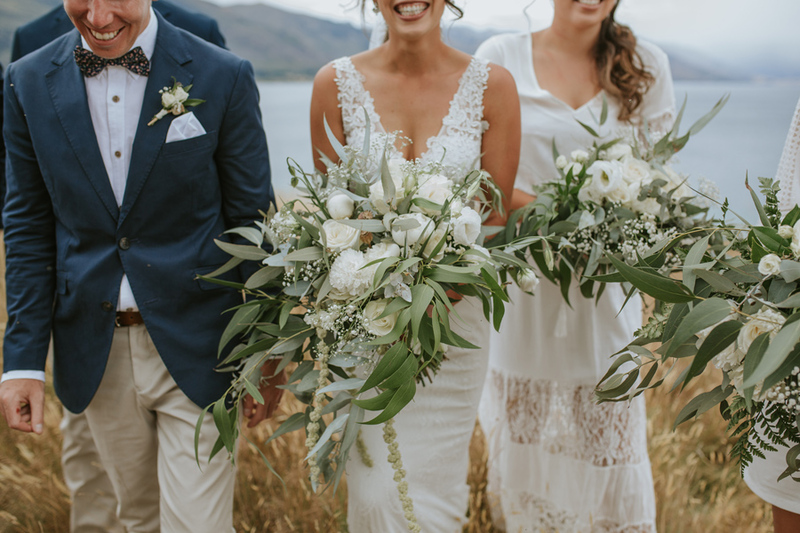 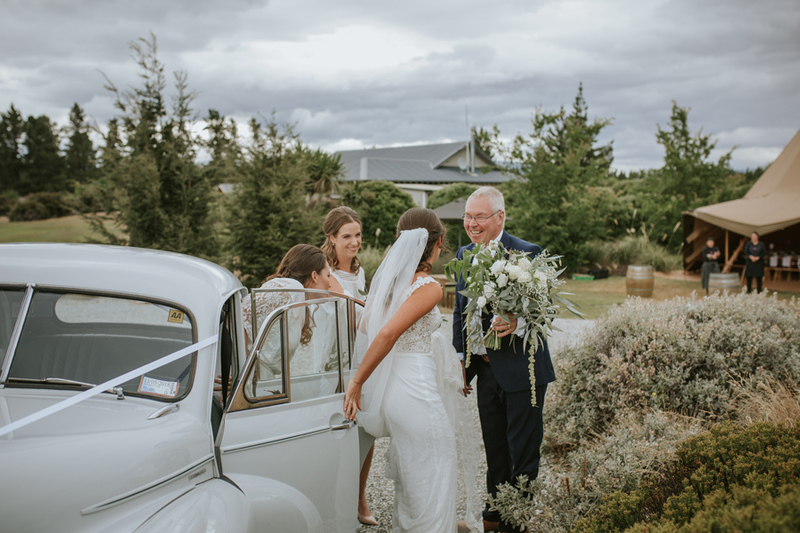 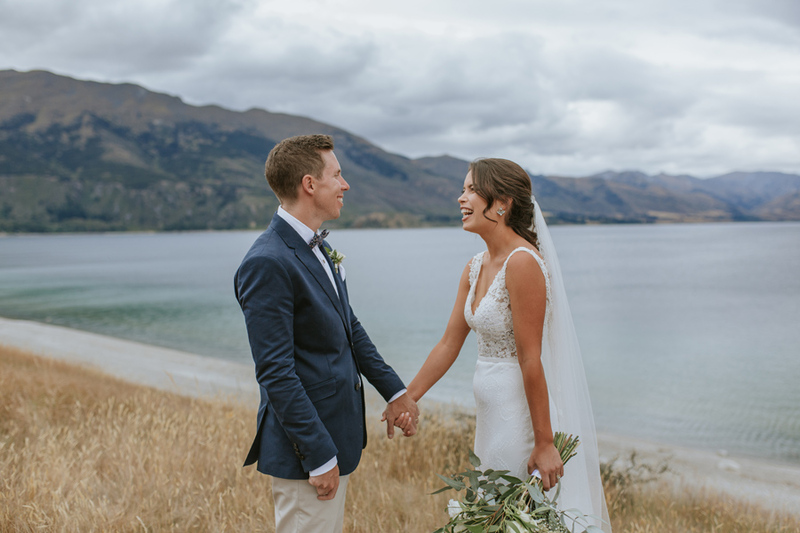 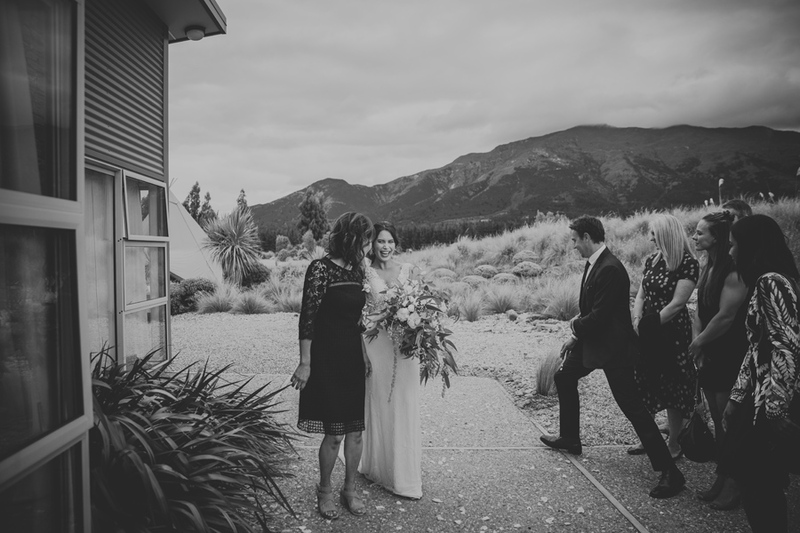 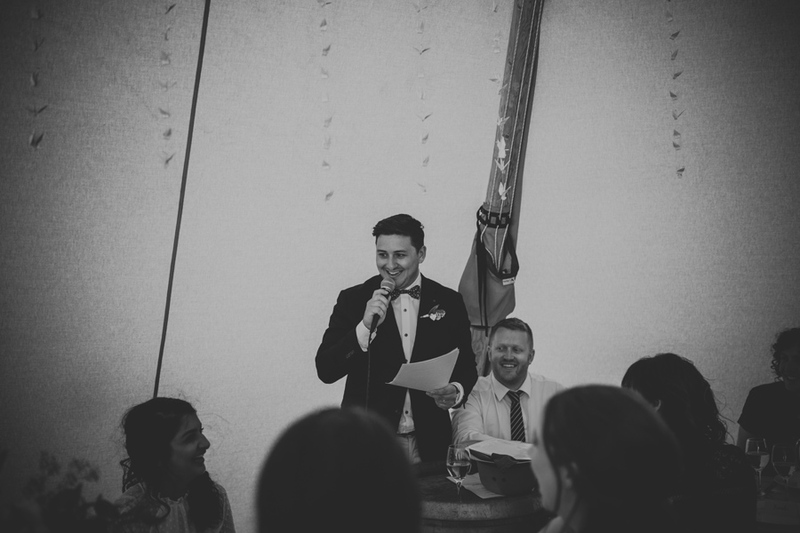 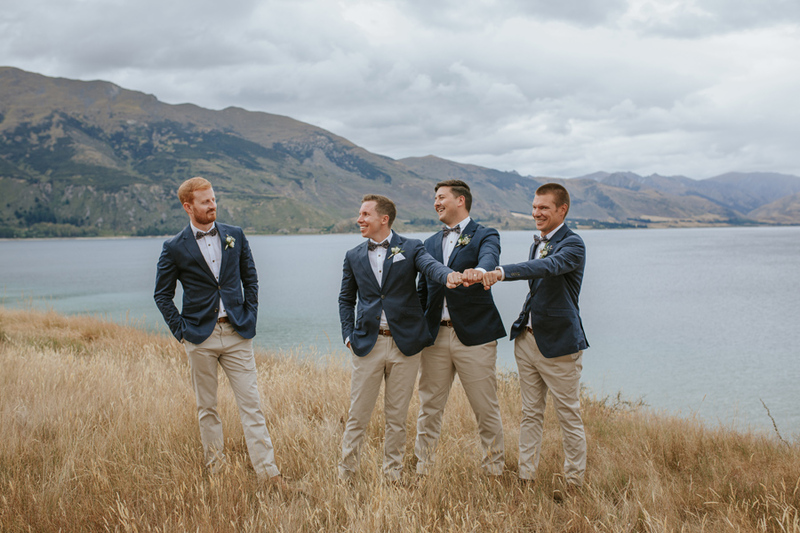 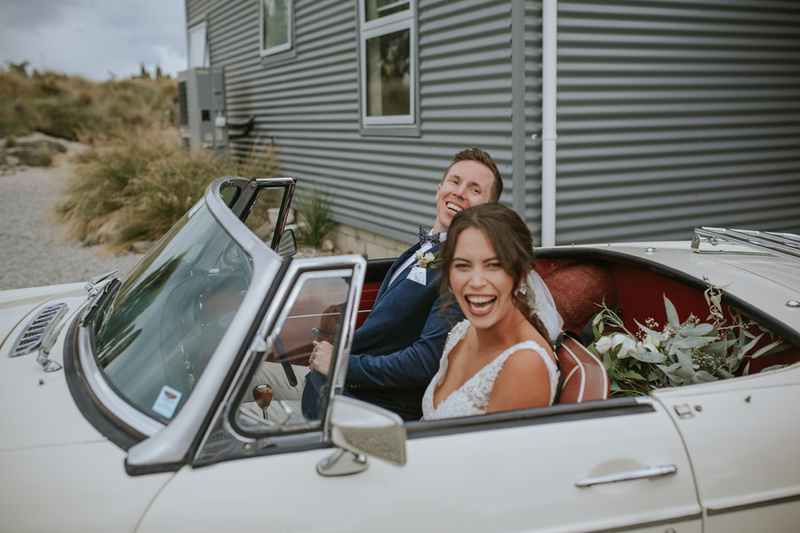 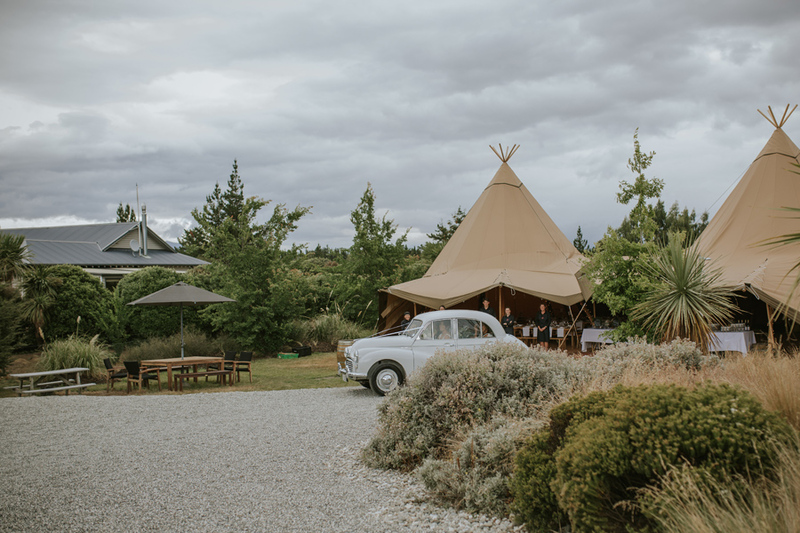 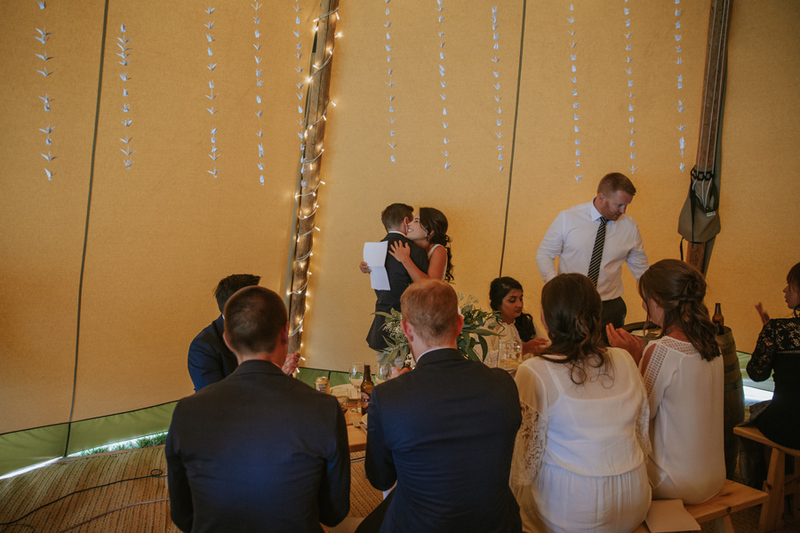 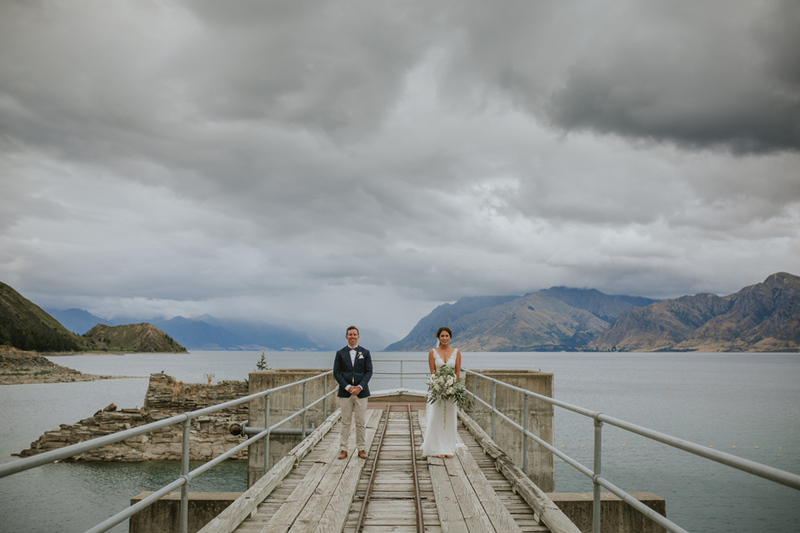 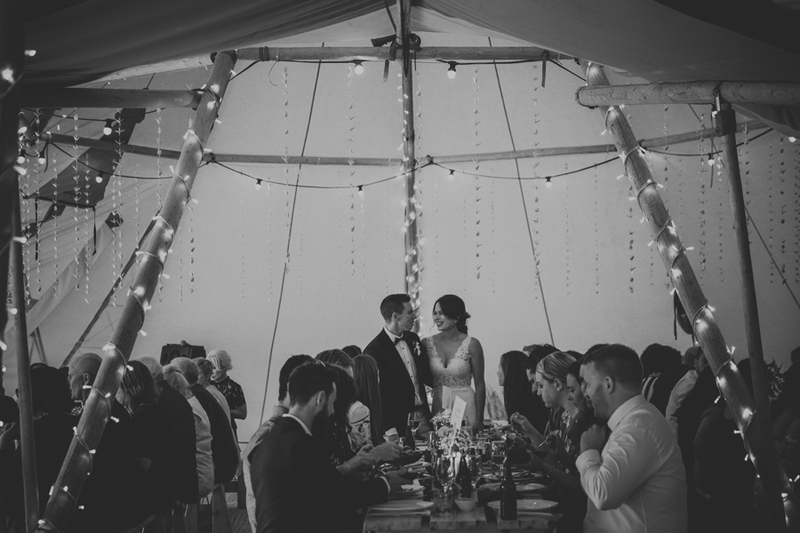 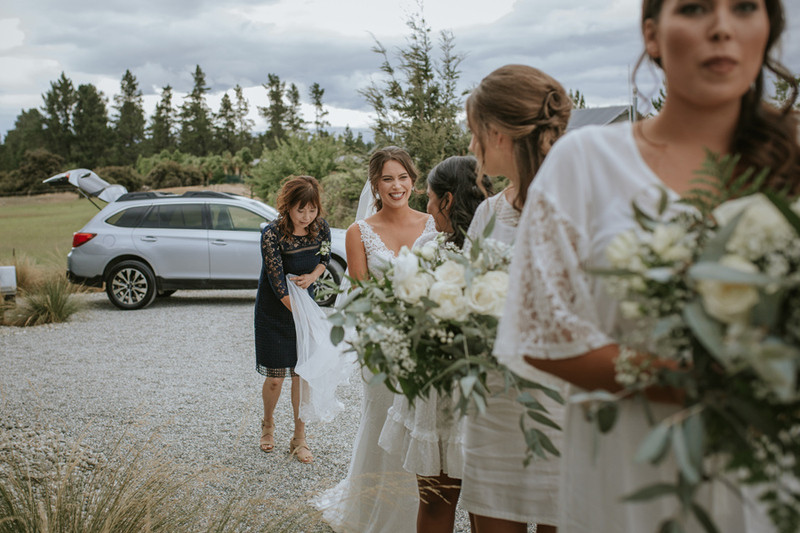 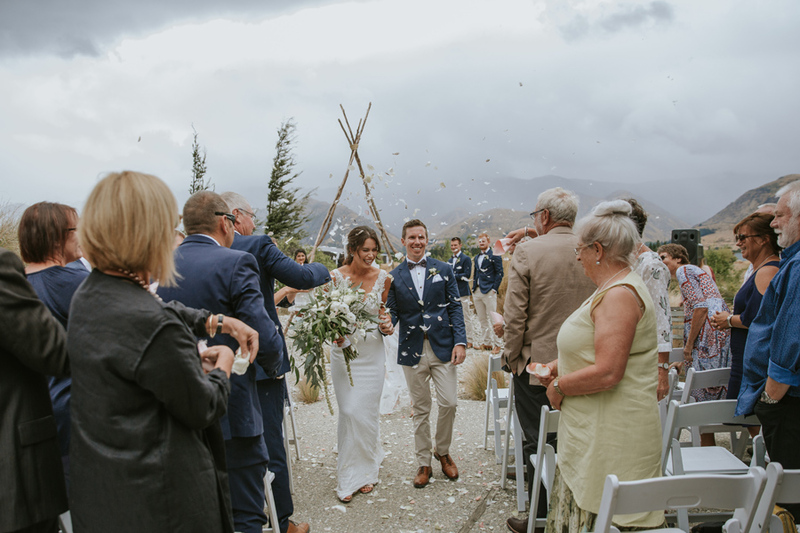 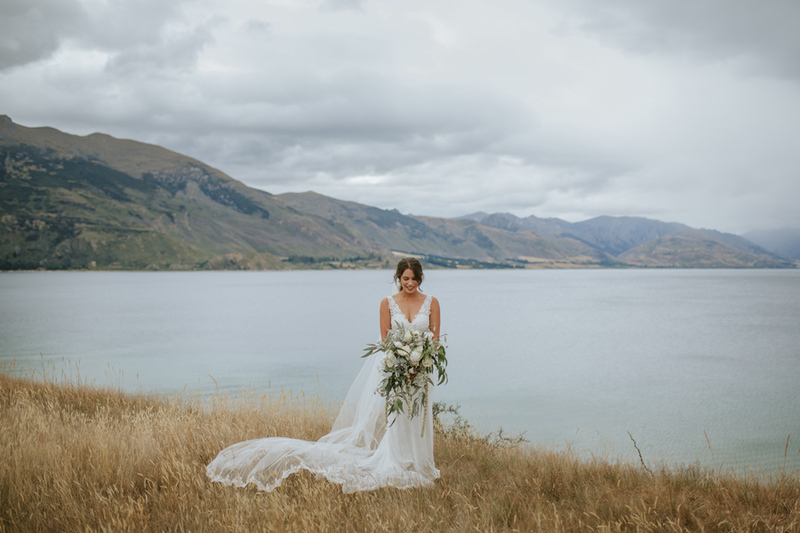 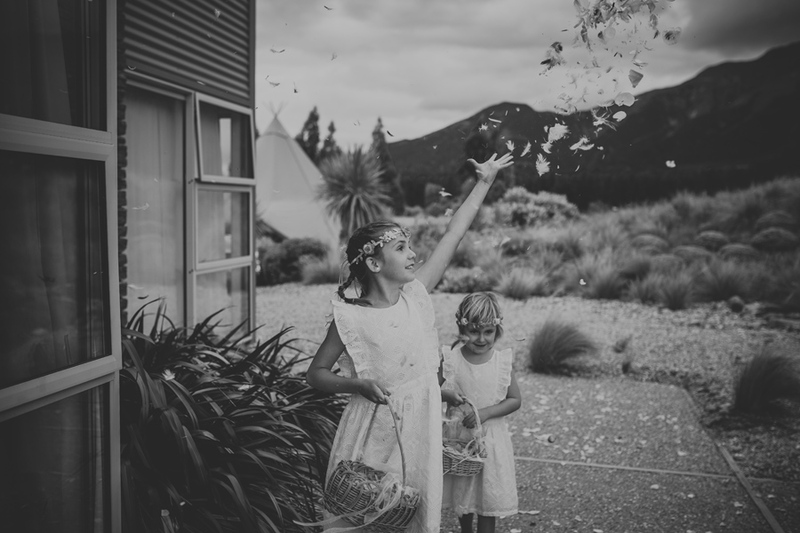 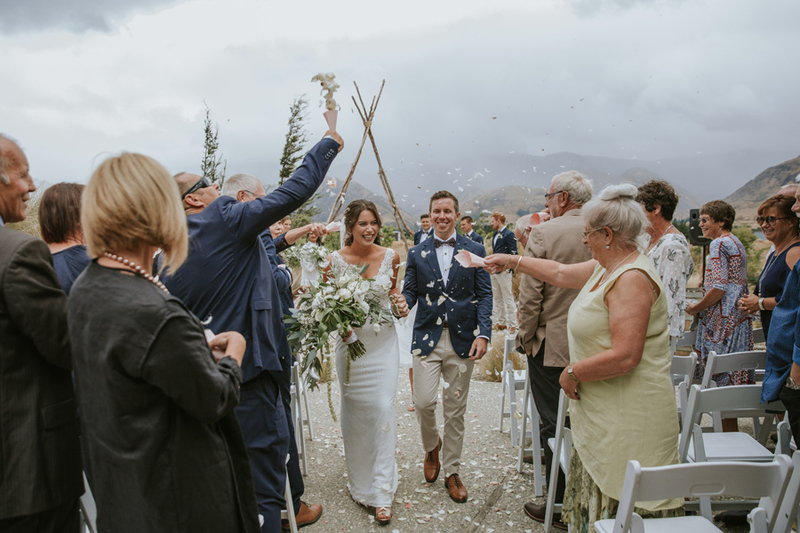 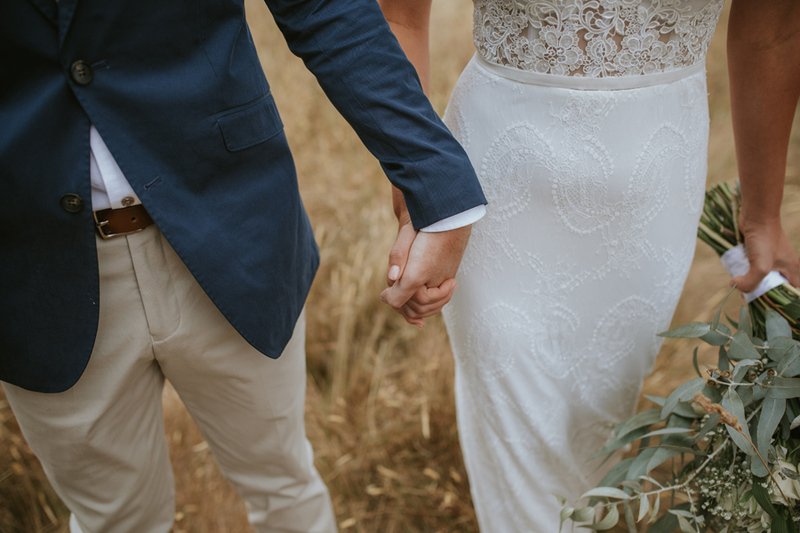 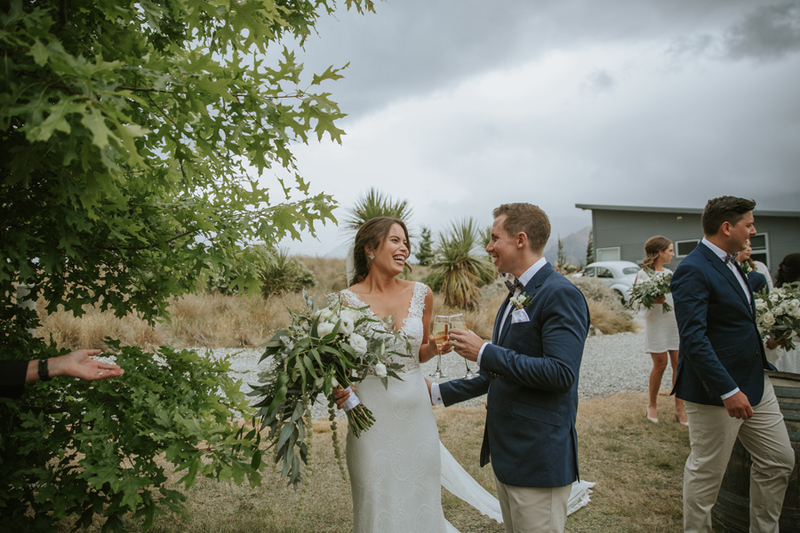 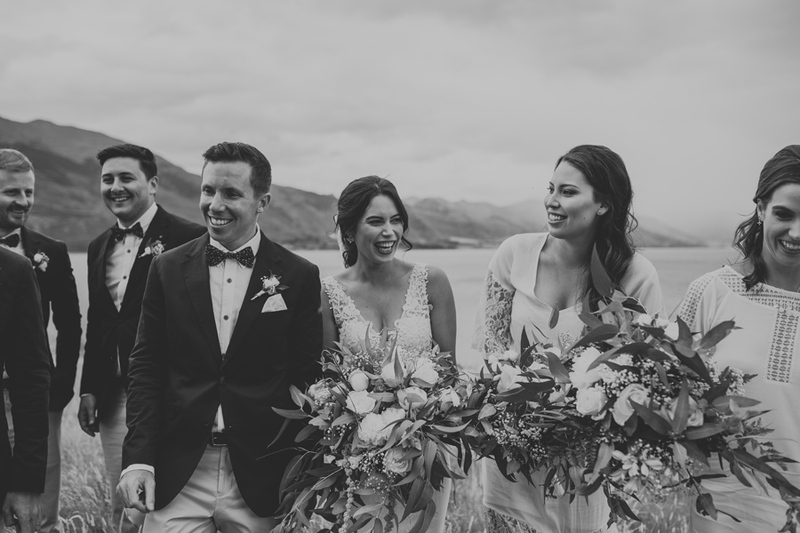 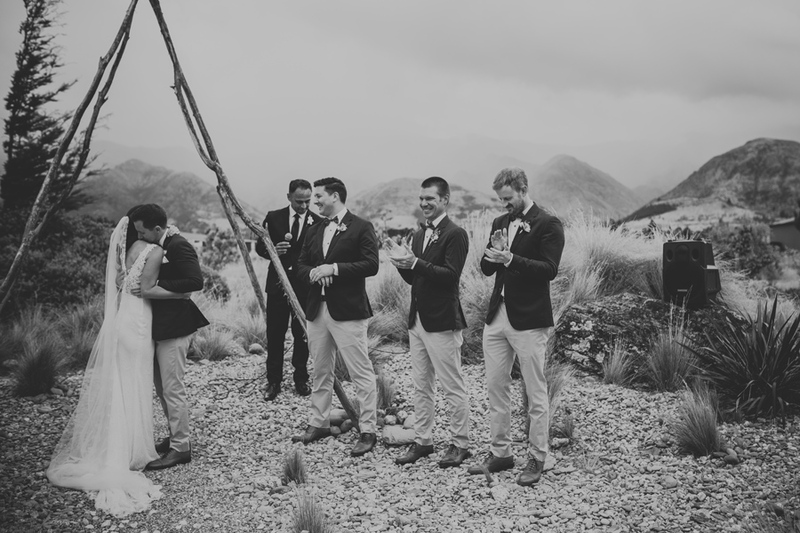 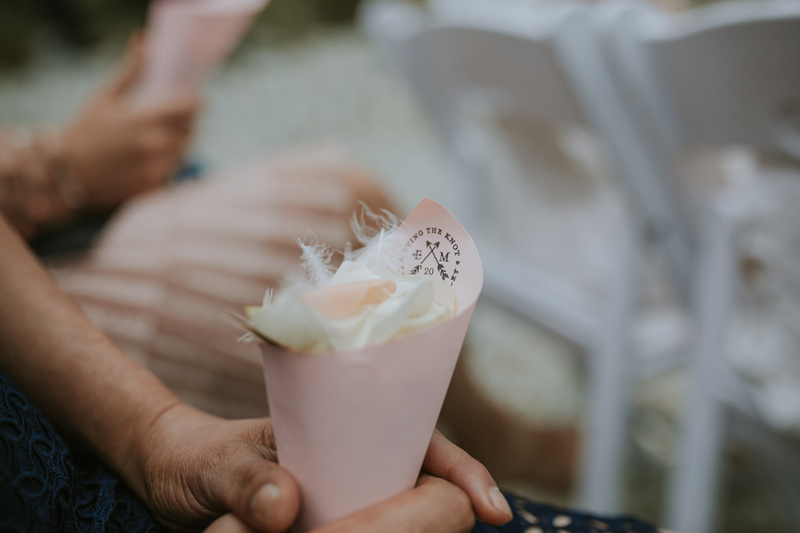 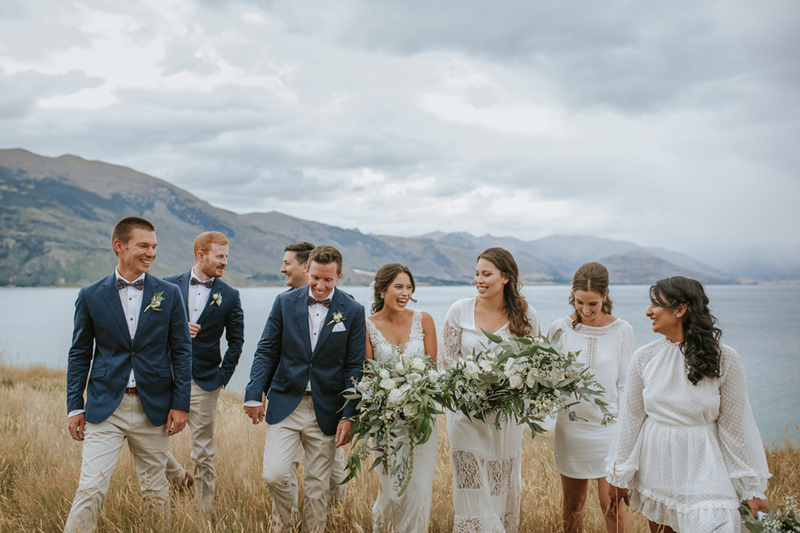 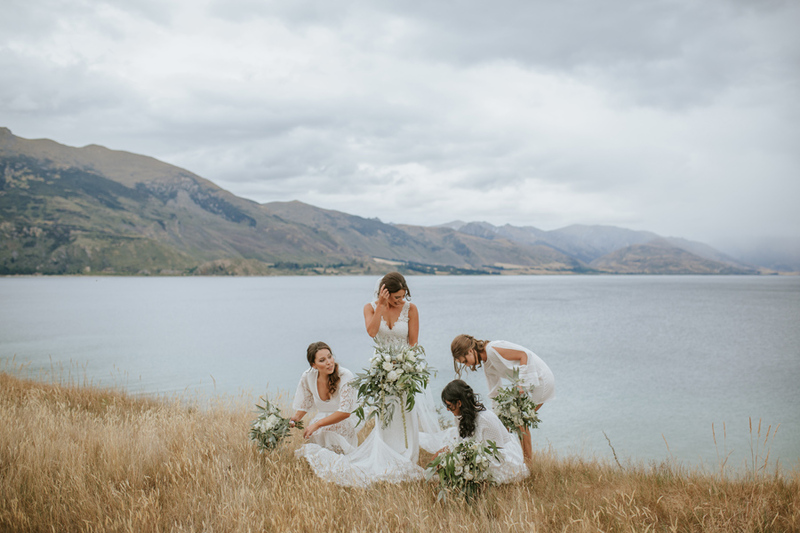 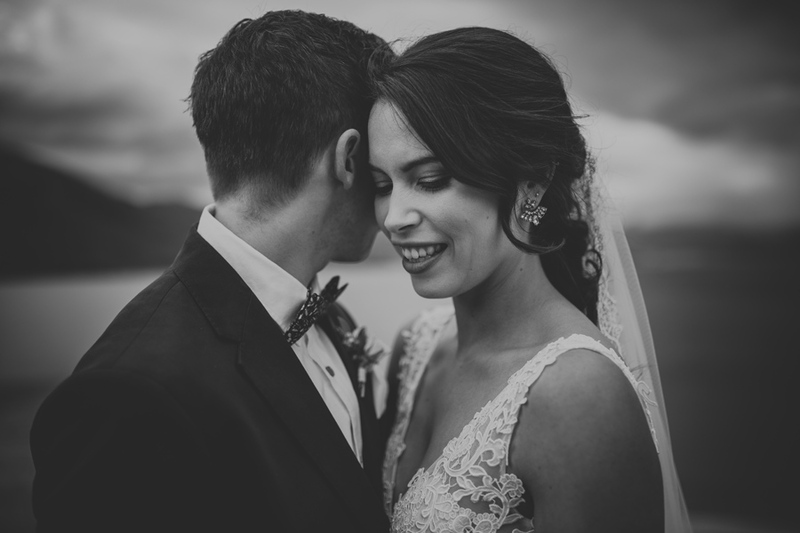 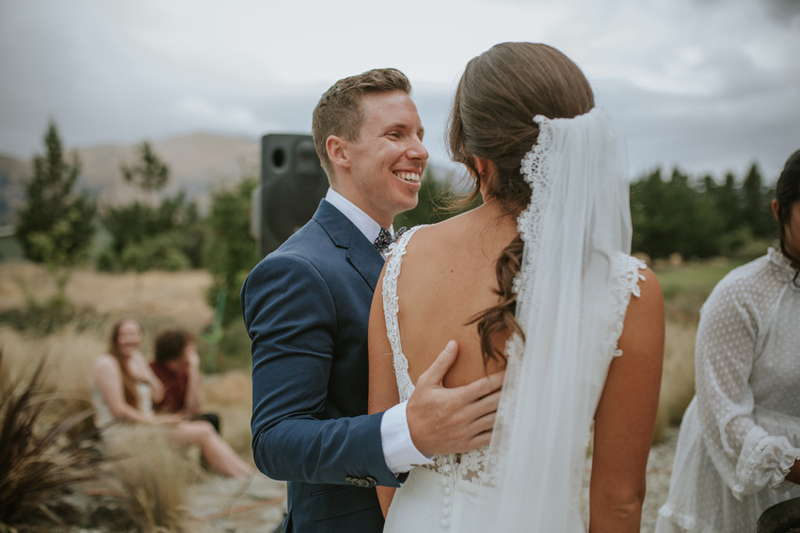 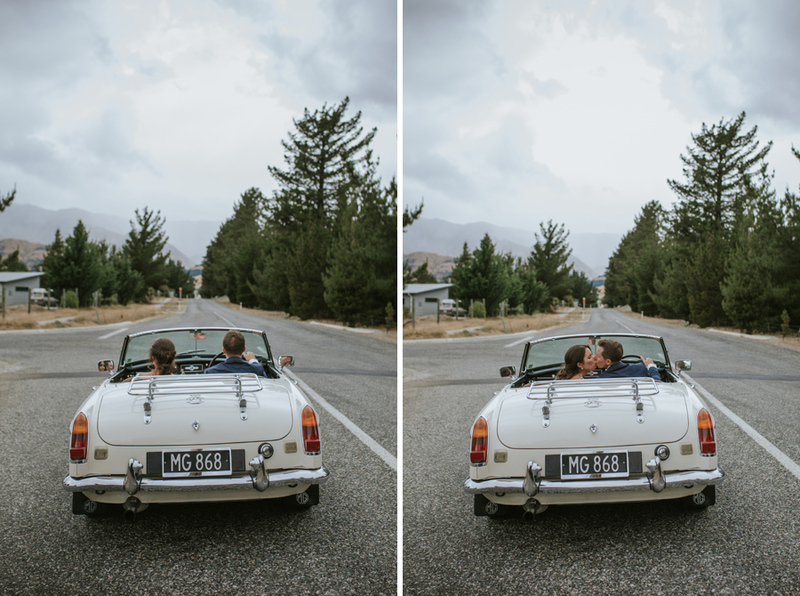 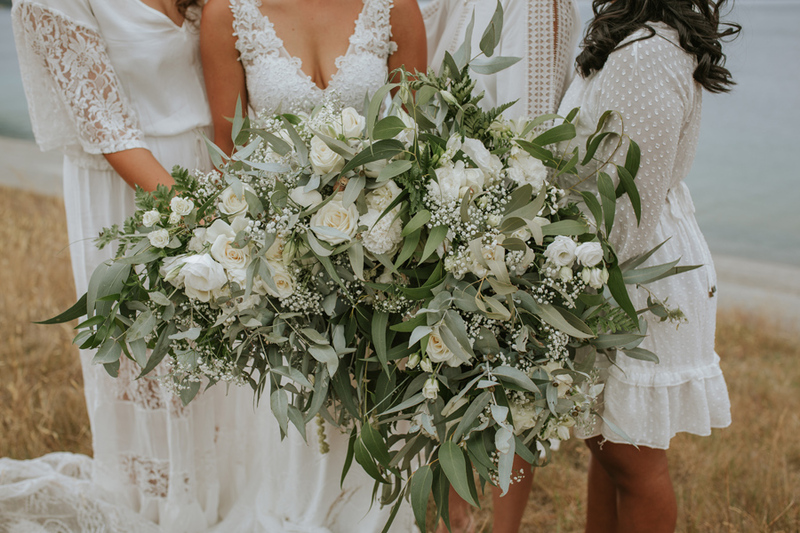 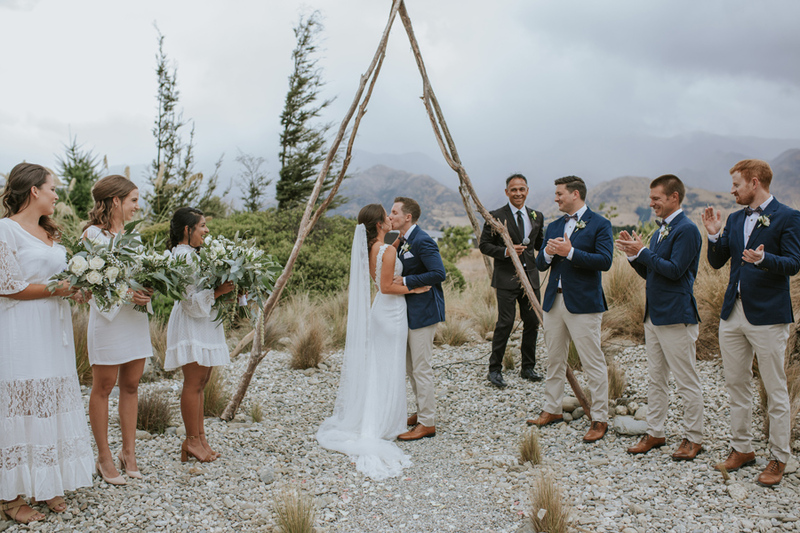 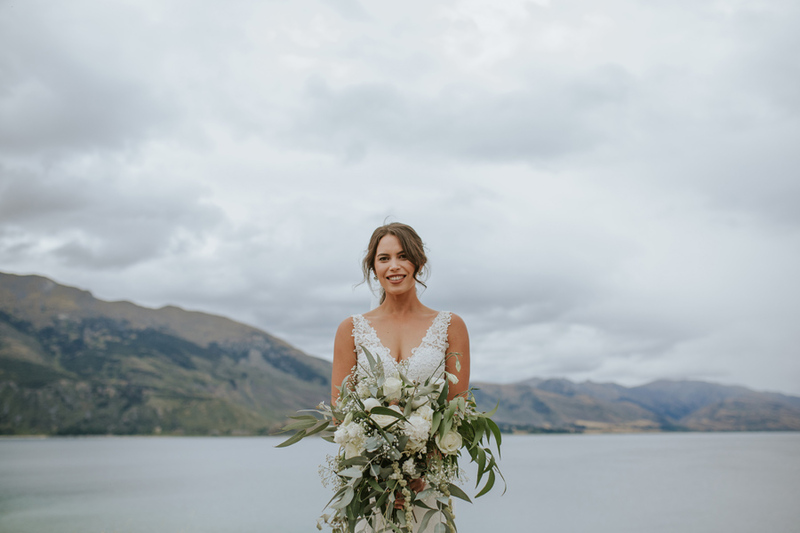 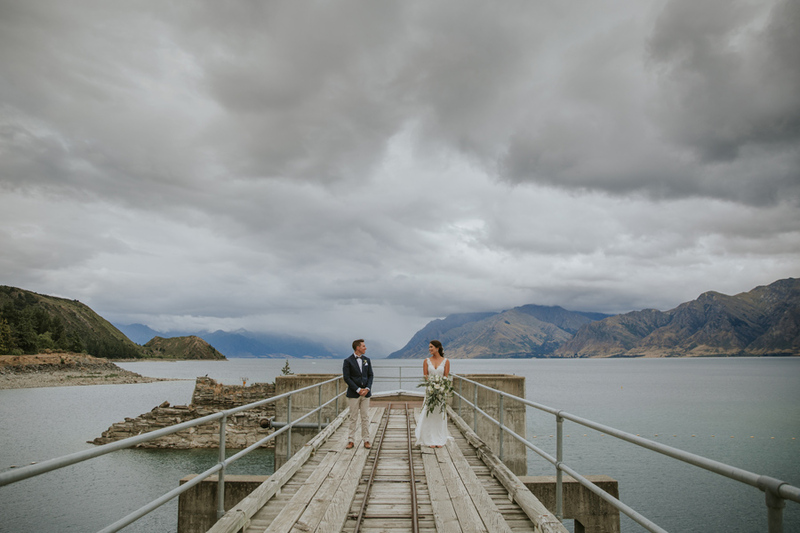 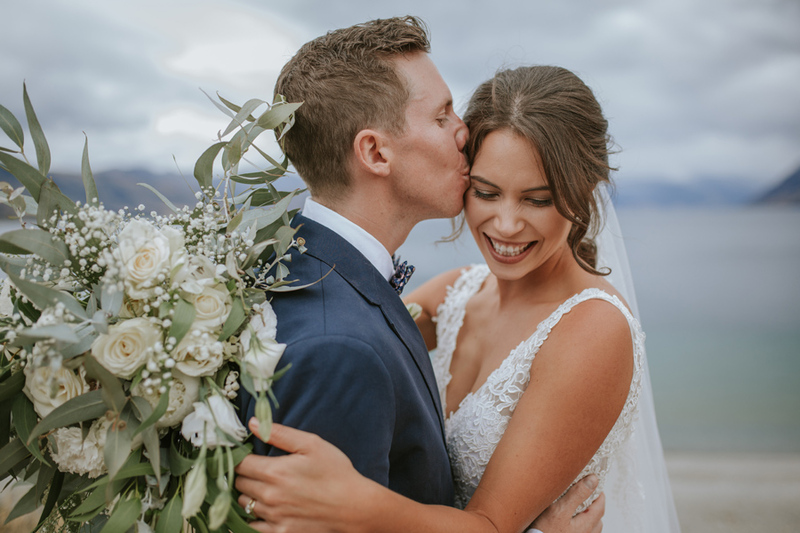 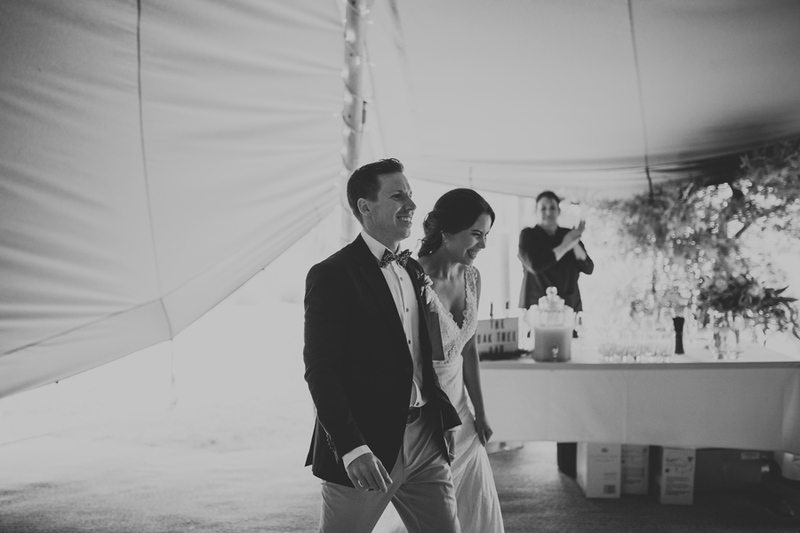 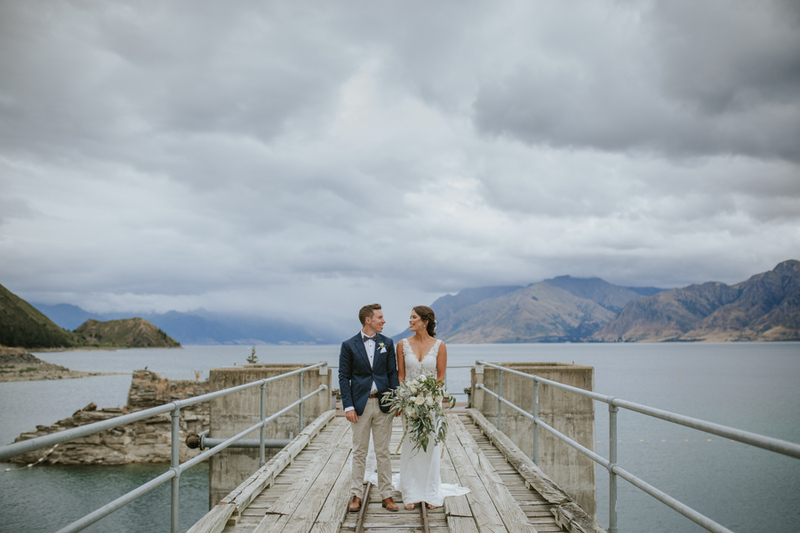 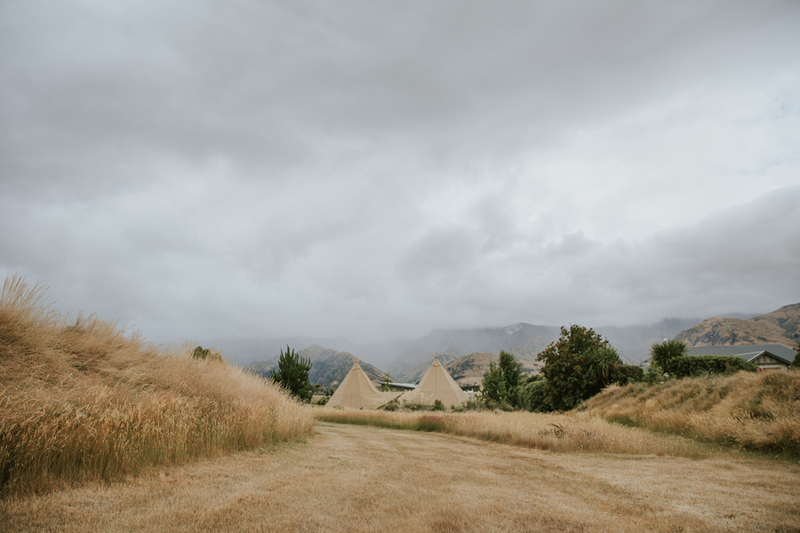 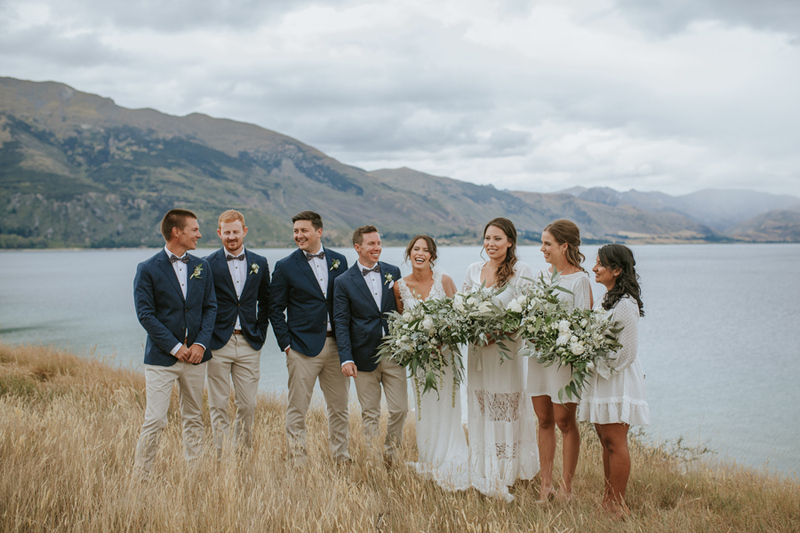 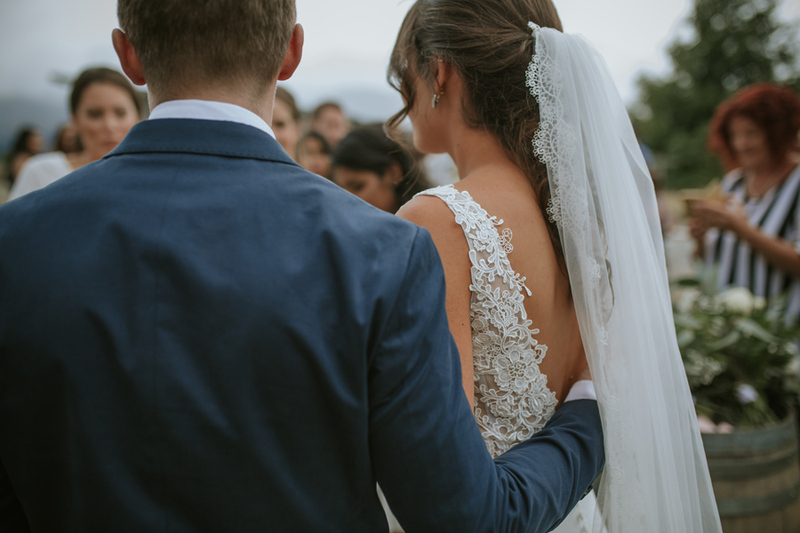 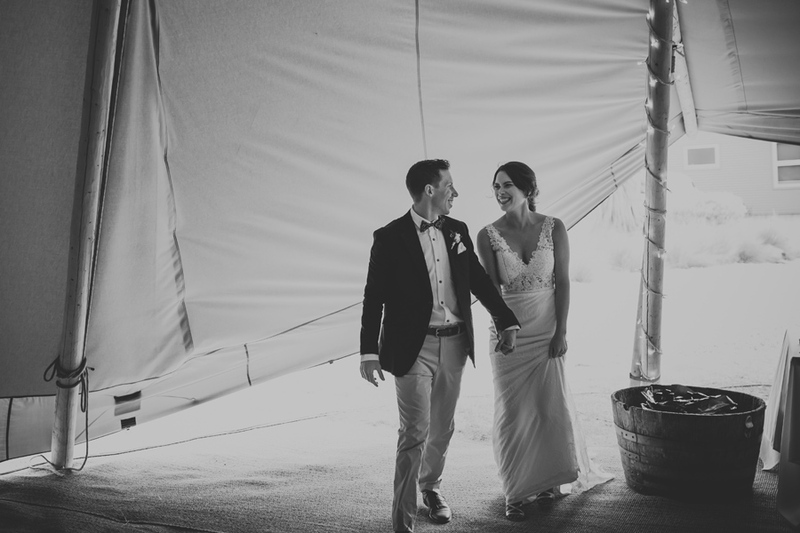 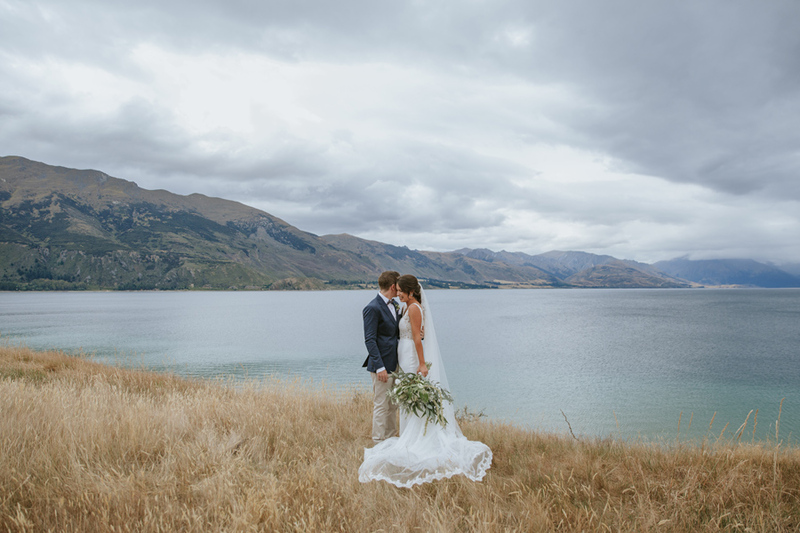 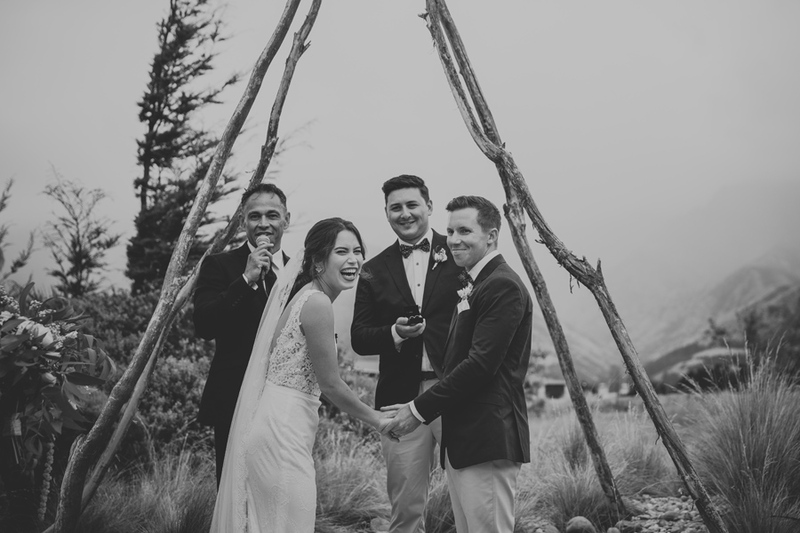 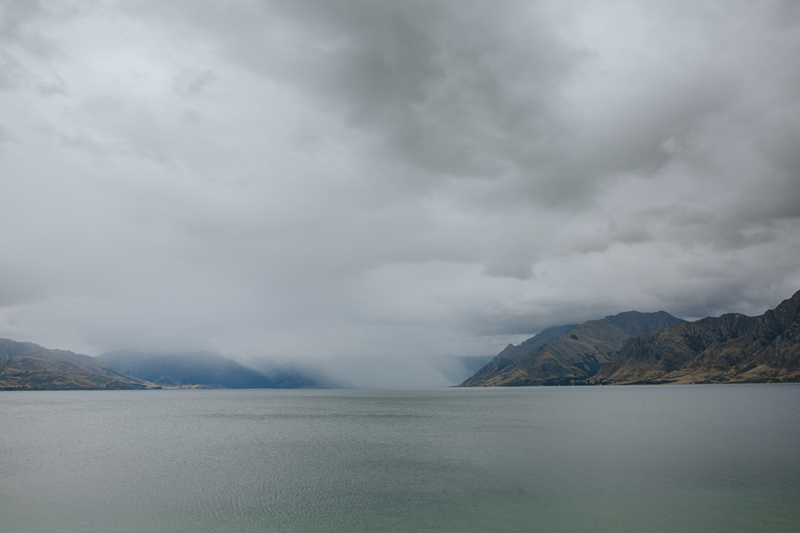 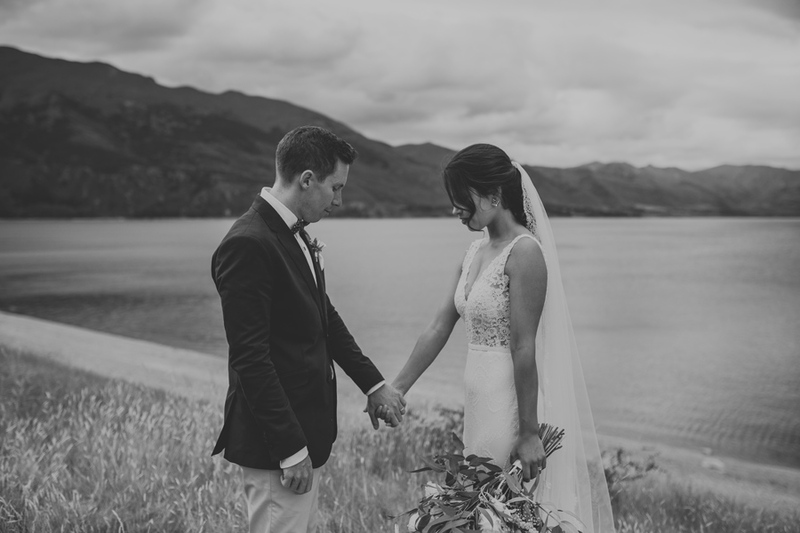 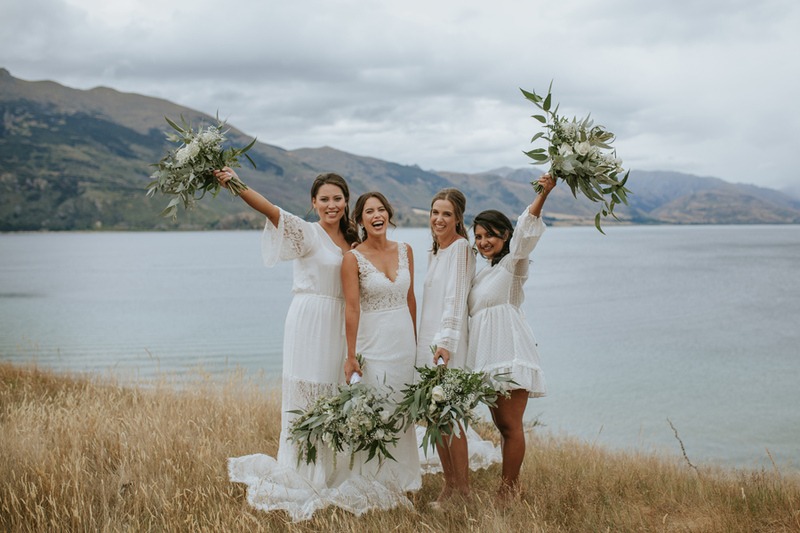 Emi and Mark are based in Auckland and luckily for them Mark’s family have a home at Lake Hawea, a stones throw away from Wanaka, which made the perfect setting for family and friends to join them to say I do. 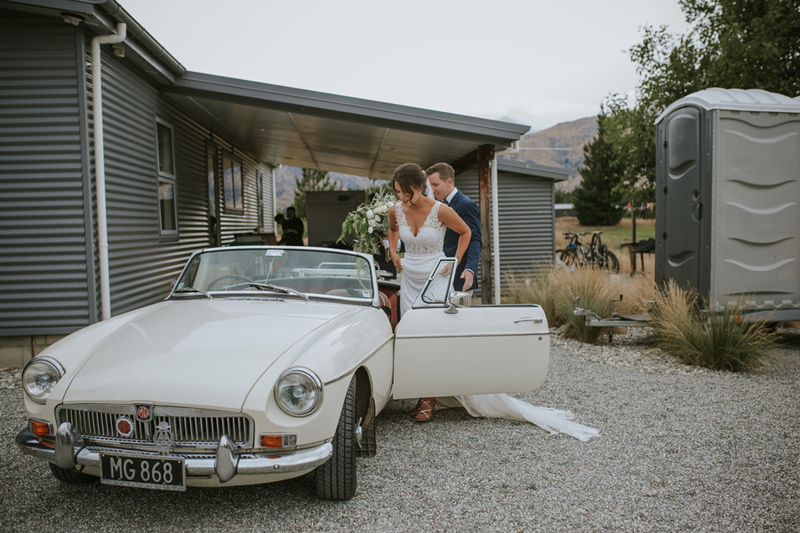 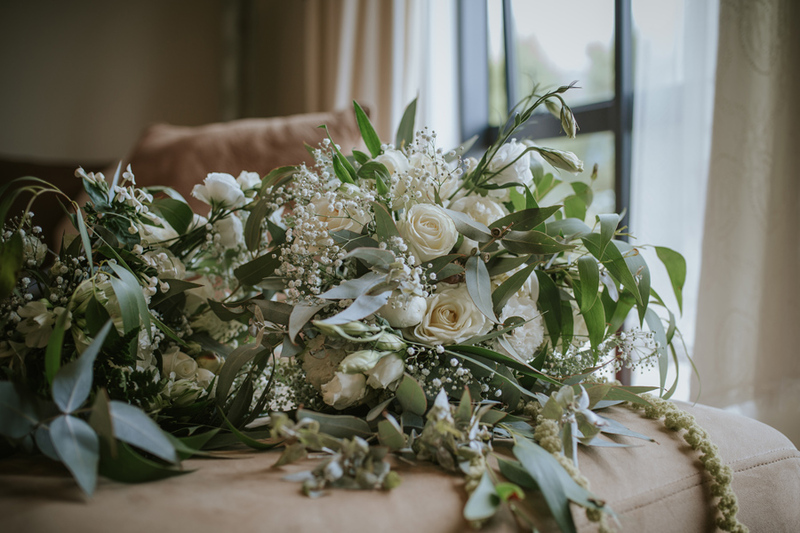 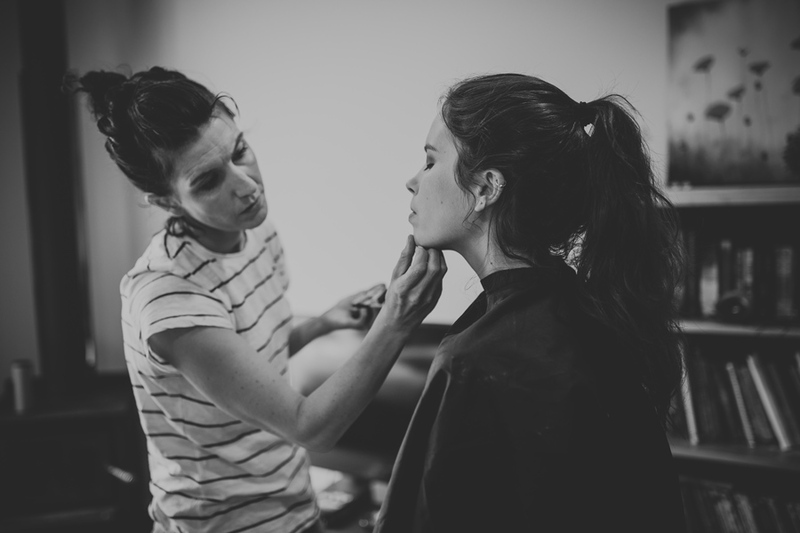 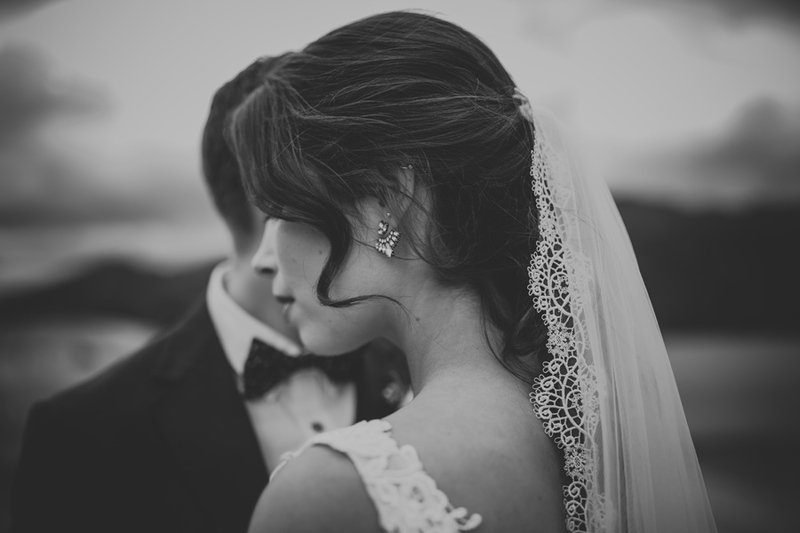 Hours were spent getting the garden and driveway wedding ready and we’re sure you will agree it was all worth it! 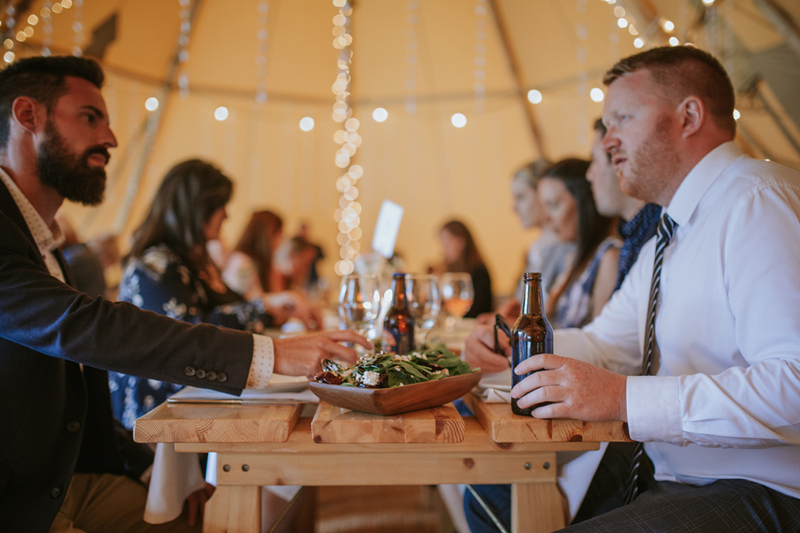 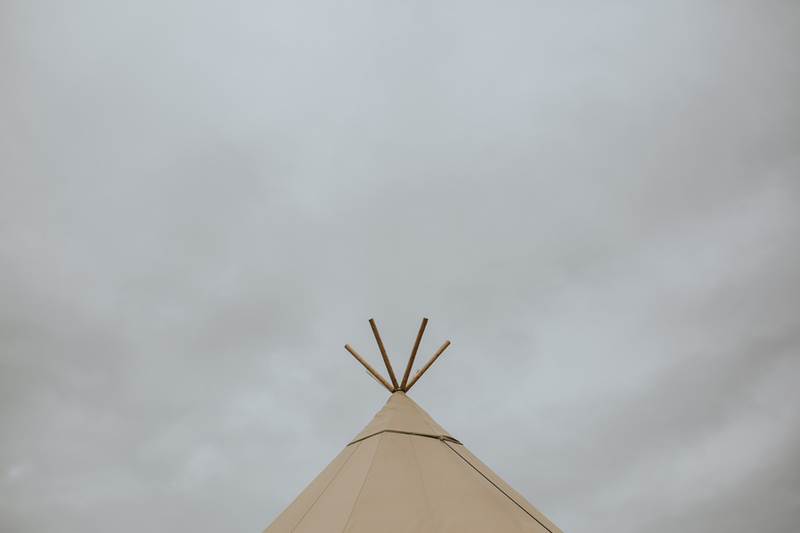 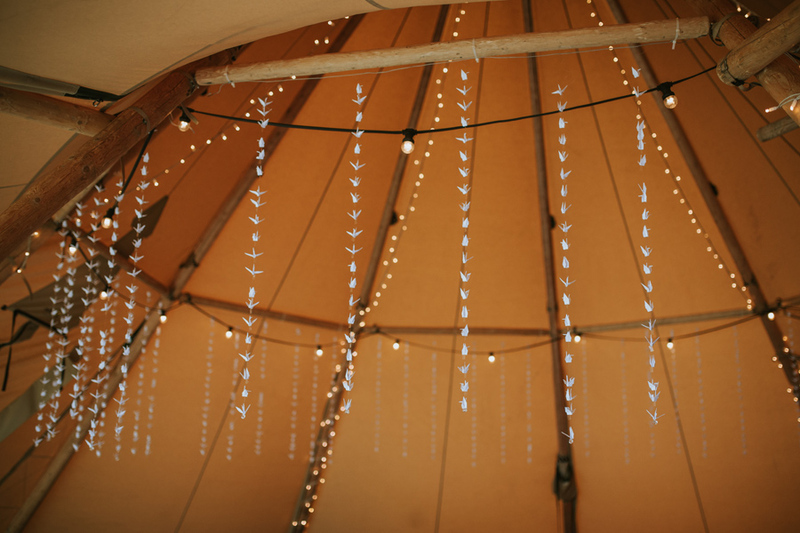 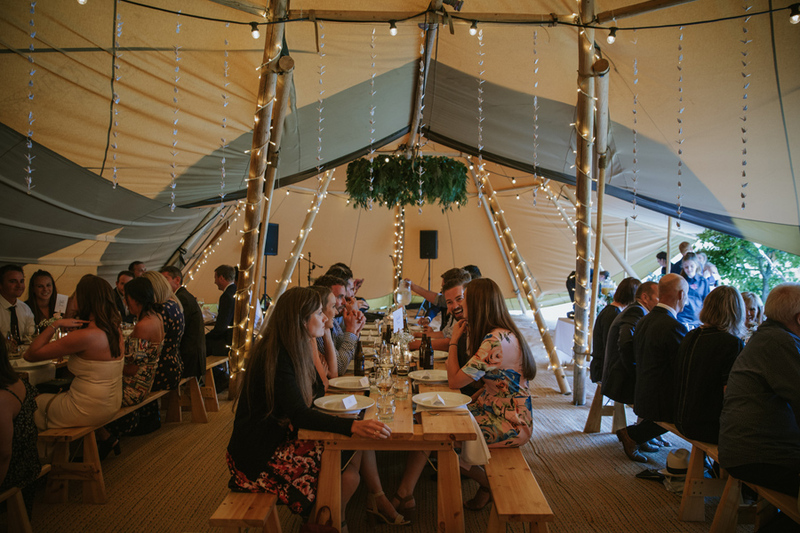 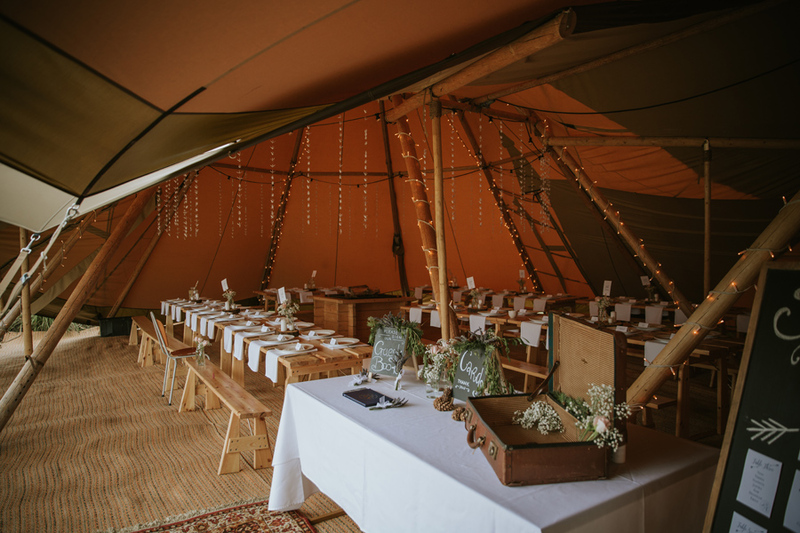 A touch of festival lush with a tipi for everyone to dine and dance the night away (kudos Gather & Gold! 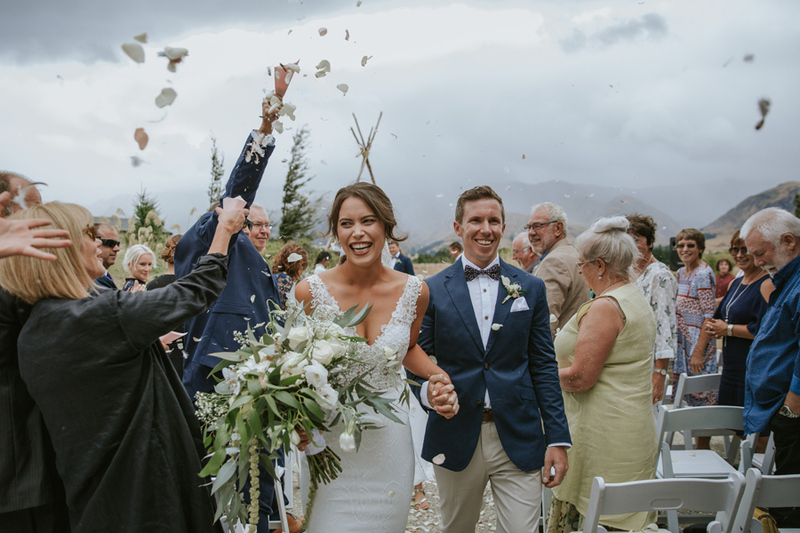 ), gorgeous green and white florals and one thousand hanging white origami cranes made it for one pretty spectacular party! 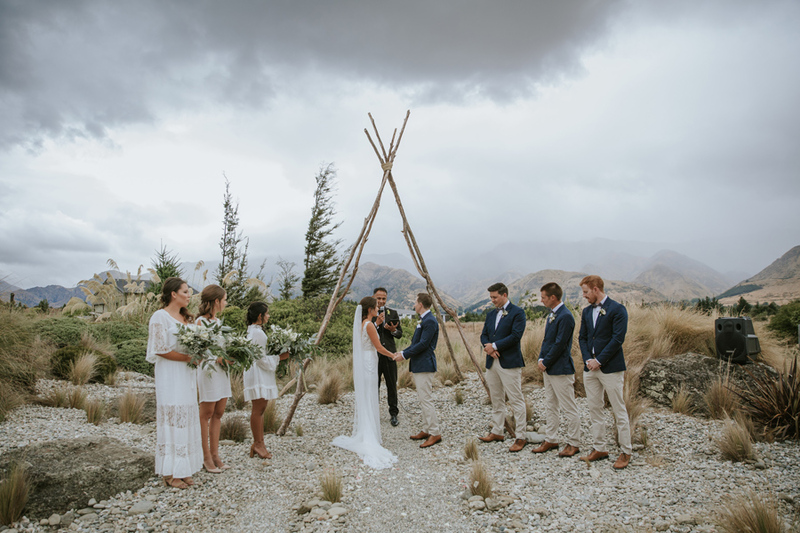 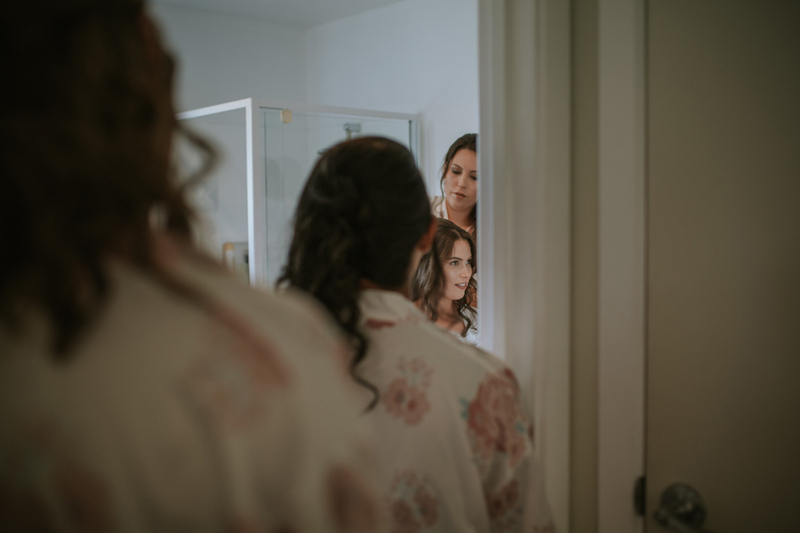 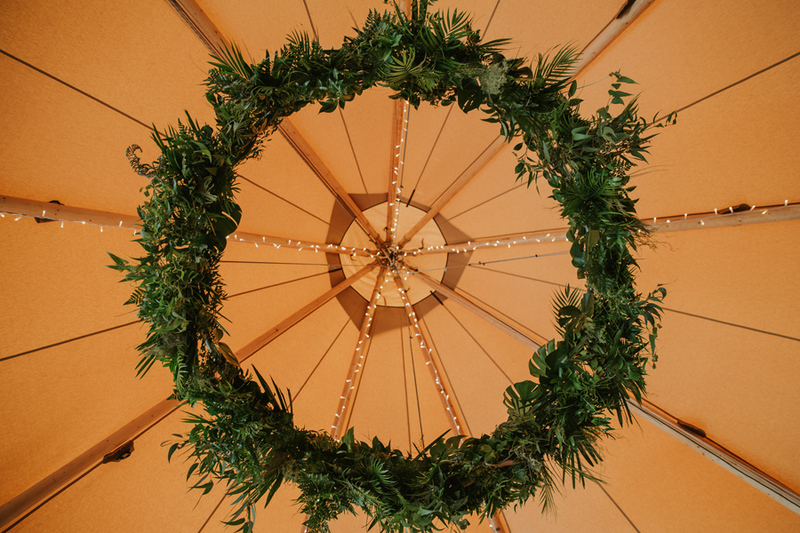 With their beautiful bridal party in tow, including talented sister of the Bride (Leah) who did the bridal party’s hair, Emi and Mark married under a mini tipi arch that they set up themselves and it was one heartfelt and emotional ceremony. 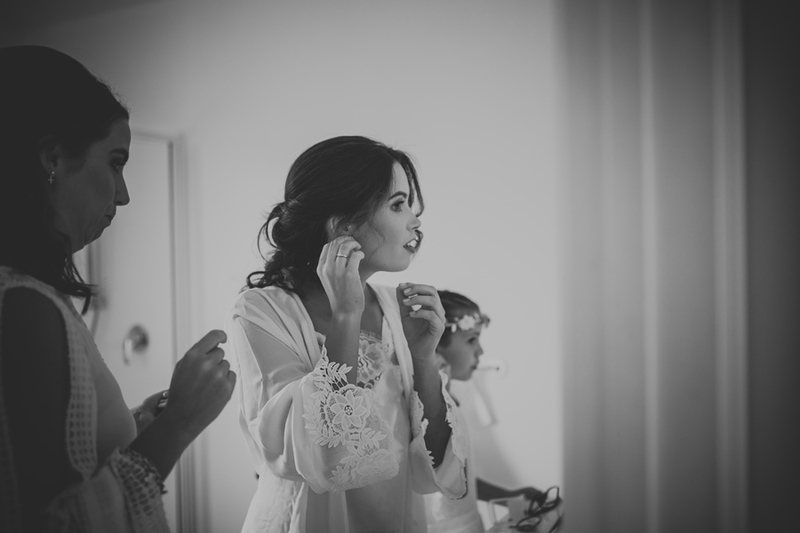 So emotional that even I had to stand back a few times to wipe a tear! 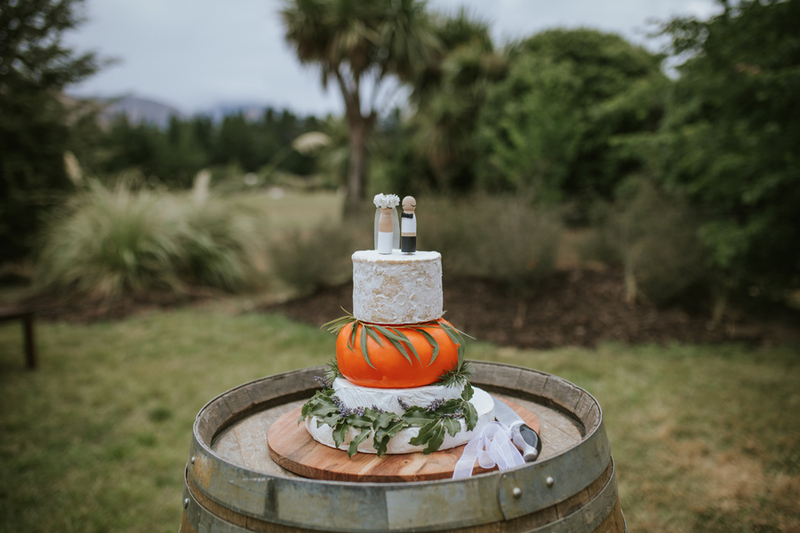 After some cuddles and cutting of the cheese cake we headed off for some photos by the lake and then came back to join everyone for the reception and speeches that had everyone in barrels of laughter and of course, a few more tears.